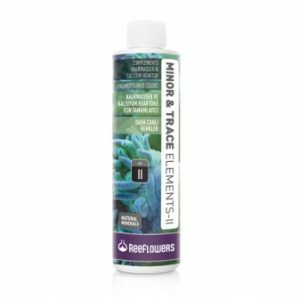 ReeFlowers Ionic Balancer & Trace Elements provides the ionic stabilizer and trace elements found in seawater. Corals fish and other marine animals require the trace elements found in natural seawater to maintain their health. 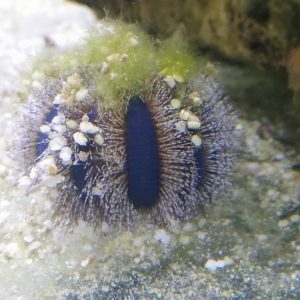 Adding this solution regularly to reef aquariums will help to keep aquarium inhabitants healthy and their colours vivid. 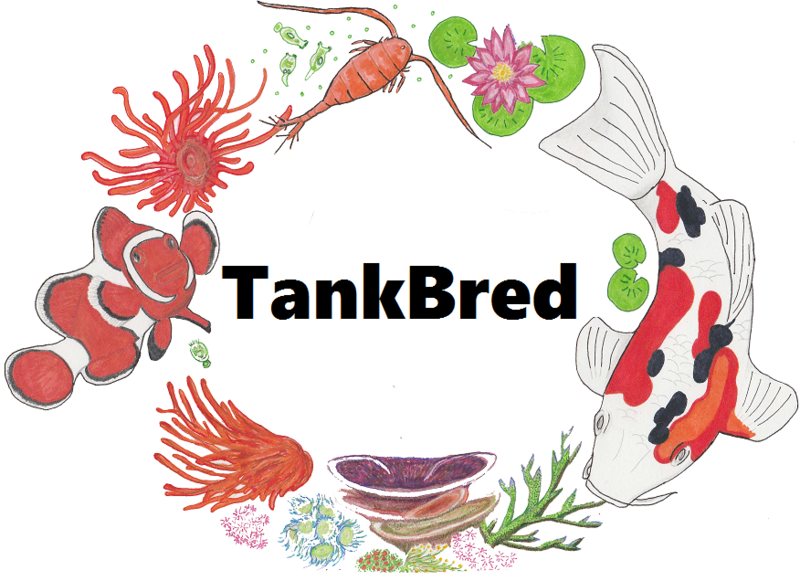 Each aquarium has different consumption levels. 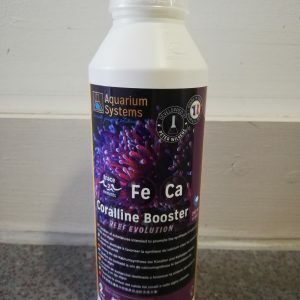 Upon determination of calcium consumption using periodical tests 2 ml of “Ionic Balancer & Trace Elements” solution should be added for every 3 ppm calcium consumption in an aquarium of 100 liters. If you are applying the balling method add “Ionic Balancer & Trace Elements” solution in an amount equivalent to that of “Calcium Blend – BallingSet Element 2”. 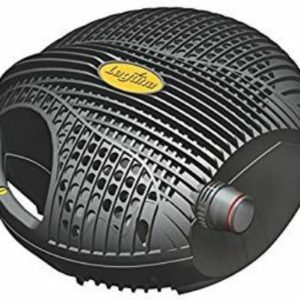 If daily consumption exceeds 10 ml per 100 liters its recommended that solution be added over the course of a day using a dosing pump. 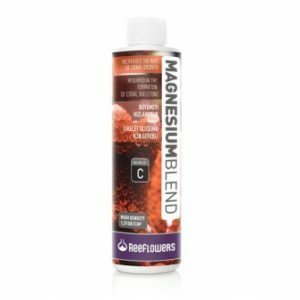 Calcium Blend is part of the BallinSet which comprises KH Blend, Magnesium Blend and Ionic and Calcium Blend. 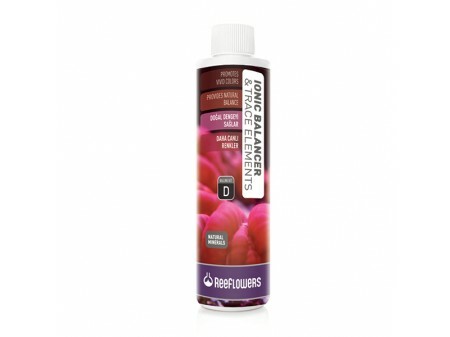 Ionic Balancer & Trace Elements is available in 250, 500, 1000 & 3000 ml bottles.